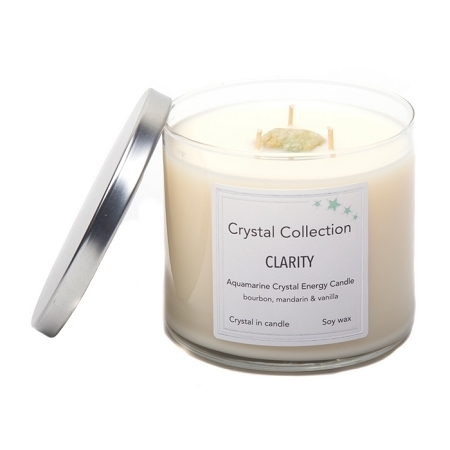 Clarity energy candle has a fragrance blend of Bourbon, Mandarin and Musk. 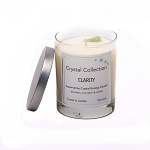 Aquamarine a creamy green/blue crystal is a gentle energy enhancing clarity of the mind. Calming fears and worry. 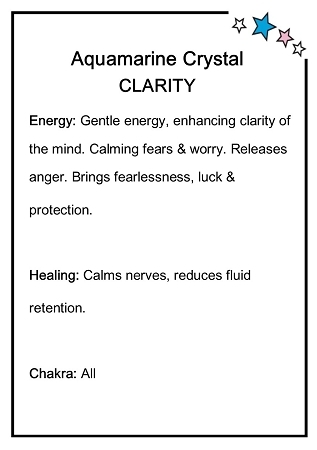 It releases anger, brings fearlessness, luck and protection. 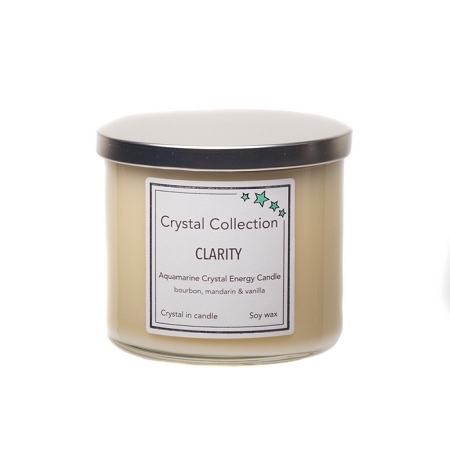 Each candle comes with the crystal's description and use on the hang tag card. 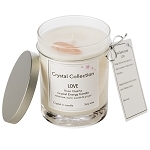 Soy three wick candle, measures 3.5 inches tall by 4 inches wide.